Ram Gopal Varma’s biopic on the sandalwood smuggler Veerappan, titled Killing Veerappan, is all set to release on January 1st. 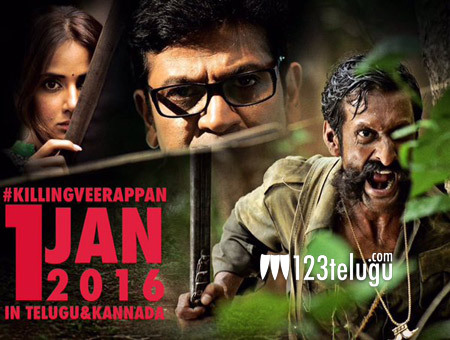 Interesting aspect is that yet another flick titled “Veerappan” will release this week. This film which stars Arjun focuses on Veerappan’s life and was originally released in Tamil way back in 2013 as Vanayuddham. The makers are smartly using the buzz and craze set by Killing Veerappan and have decided to release the dubbed version of Vanayuddham on the same day. With this unique clash, no doubt that the box-office collections of RGV’s Killing Veerappan will take a beating. We will have to wait and see who will win at the box office.